This program provides travel awards to young scientists conducting research in CEI-related areas to present their work at conferences. The goals of this program are to provide young UW researchers conducting energy-related research additional opportunities for professional development by presenting their work at major conferences; to raise the profile of the UW CEI by broadening the distribution of important results in core CEI research areas; and to encourage community building among the student and postdoc community by rewarding emerging leaders in collaborative research, education, and/or outreach activities falling under the CEI umbrella. Applicants must have a paper accepted for presentation at a conference. Oral presentations will be favored over poster presentations. The applicant’s research advisor must agree to provide a 33% match up to $500 (e.g., a $1500 award is paid $1000 by CEI and $500 by the advisor). Applications must be submitted online. They will be reviewed as received and judged by CEI faculty and/or staff. Applicants will be notified of the result within 2 weeks. Individuals may receive a maximum of two awards per fiscal year (ending June 30). Awards are also limited to a maximum of 4 per research group per fiscal year. In the event of limits on funding, priority for travel fellowship funding will be given based on engagement with broader CEI education activities, and quality of the travel experience, as judged by the education director. 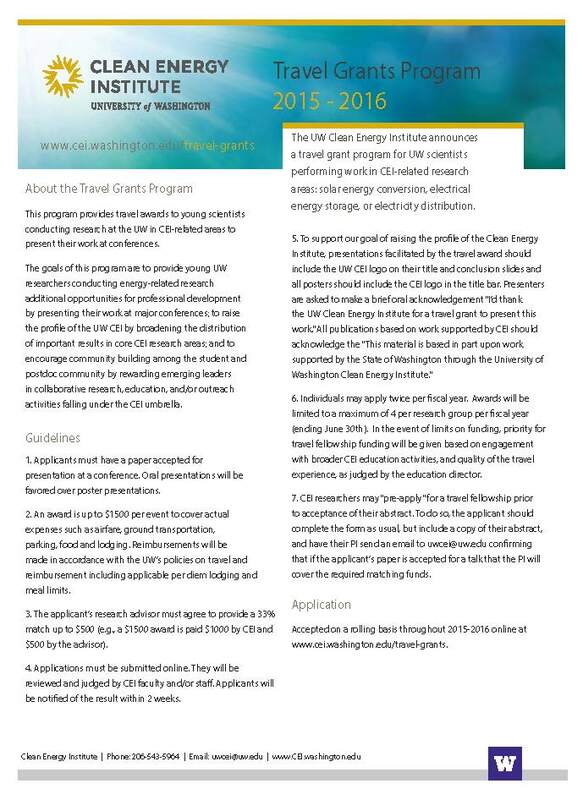 CEI researchers may “pre-apply” for a travel fellowship prior to acceptance of their abstract. To do so, the applicant should complete the form as usual, but include a copy of their abstract, and have their PI send an email to uwcei@uw.edu confirming that if the applicant’s paper is accepted for a talk that the PI will cover the required matching funds. Awards are only available for current UW students at the time of travel. Applications are accepted on a rolling basis. Applicants will be notified of the funding decision within 2 weeks. 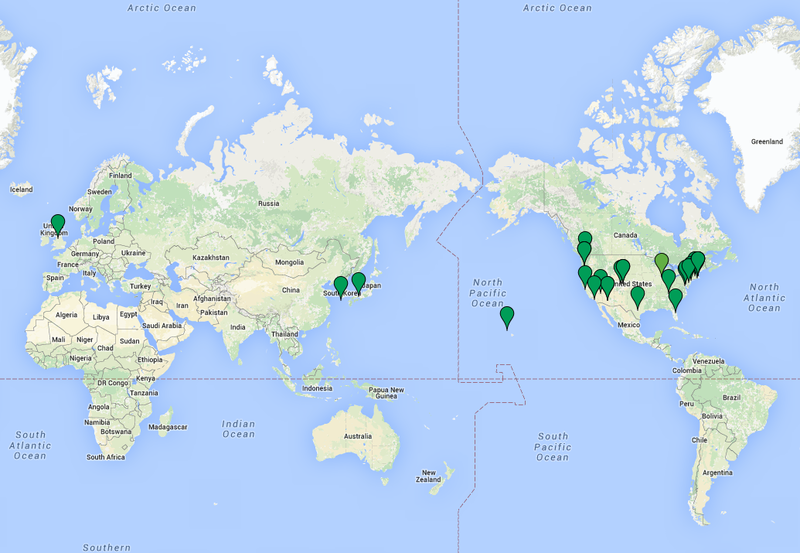 Where have UW students traveled on a CEI grant?